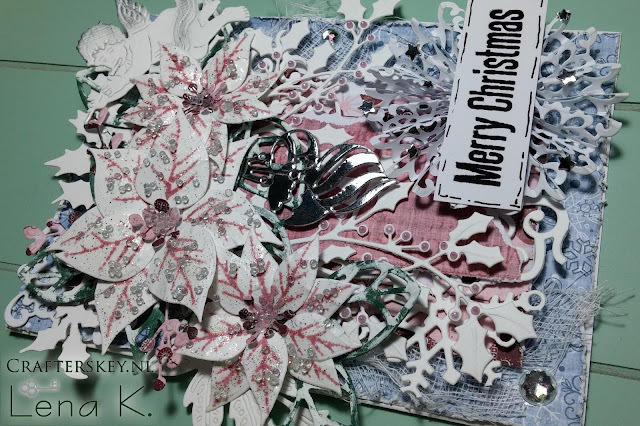 Suddenly, I had some free time today and decided to post a card :) So. 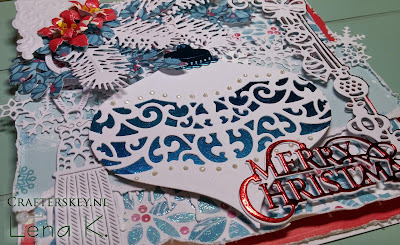 I bought these Nellie's Choice Angel dies for this season, and I absolutely love them! This particular one is #HSDJ012. 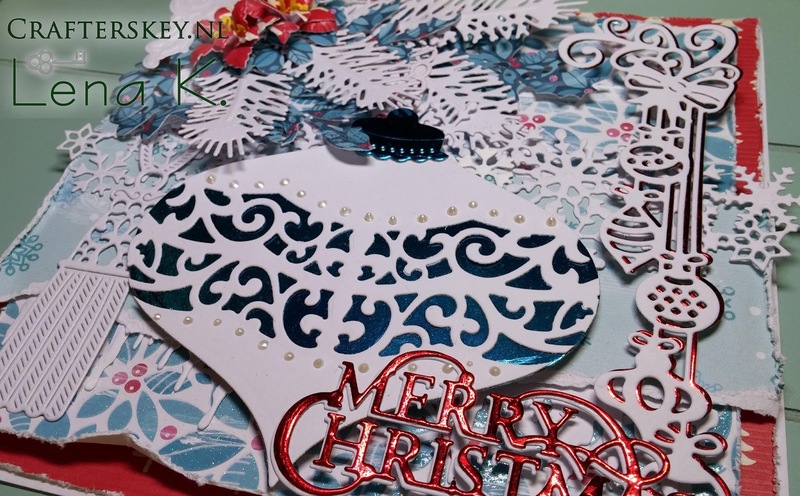 They offer three different designs altogether, all adorable! 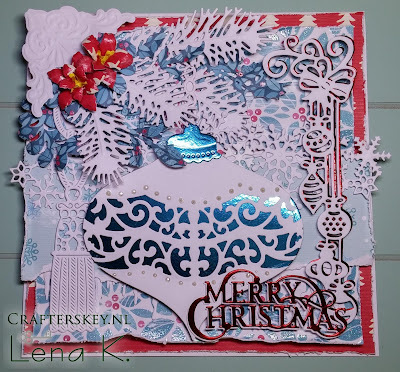 The rosette is made of two Joy!Crafts 6002/0314 Noor Stencil "Border" die cuts. Let's Craft and Create: Challenge #132 - ANYTHING CHRISTMAS GOES! I love the way Spellbinders Borderabilities offer a punching option, i.e. without the cutting edge. It can be used for so many purposes! I added some liquid pearls on the bauble, as well. Use Your Stuff: UYS #292: CHRISTMAS IS COMING! 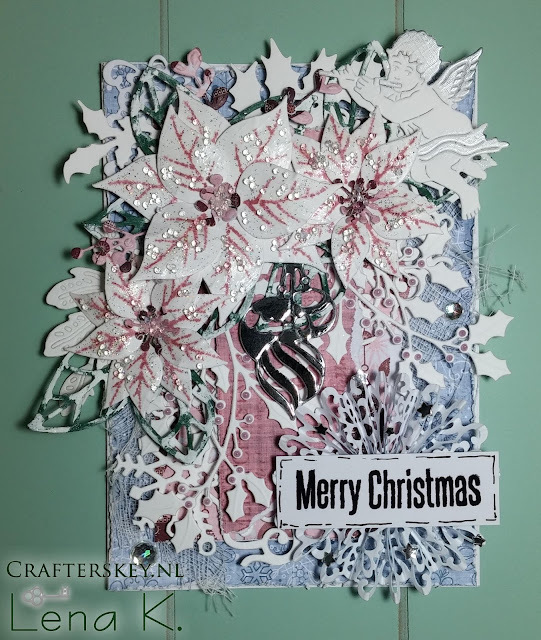 CREATIVE INSPIRATIONS: Challenge 284 - Winter / Christmas!